Our LSX Sportsman Vacuum Pump Kit is for the popular LS Series Late Model Chevrolet engine and specifically designed to fit perfectly in Chevy, Cadillac, GM Truck and Pontiac Applications with Belt Tensioner. For applications without a serpentine belt tensioner, like cars with an electric water pump, please call - we have custom setups available. Optional T100 Tensioner Mount for High RPM apps. 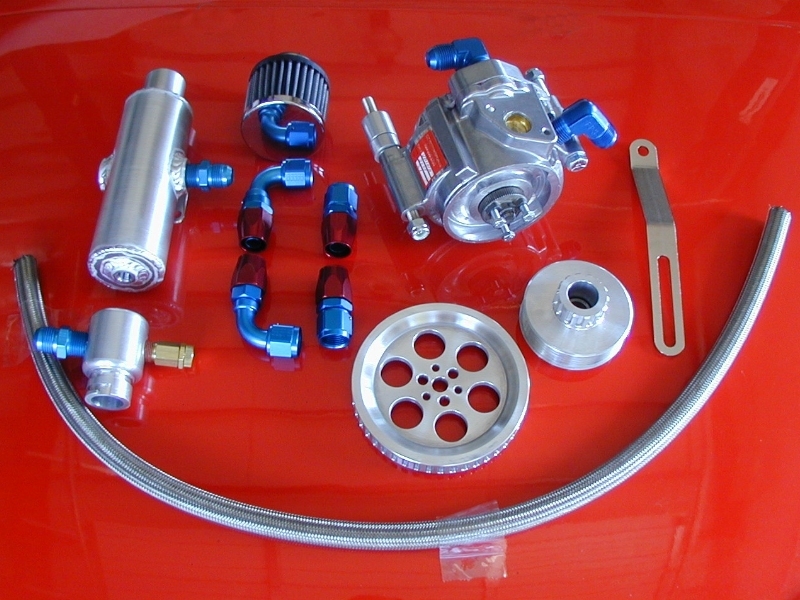 The GZ Motorsports LSX Sportsman Vacuum Pump Kit features a polished aluminum case with -10 AN anodized aluminum Fragola fittings, carbon fiber vanes, and Rulon wipers. All pumps are long lived with oil mist passing through them. NO requirement for cleaning before each trip to the racetrack. Vacuum pumps are tested to insure quality on a "pump dyno" with a vacuum gauge and a volumetric gauge on the suction side. Test vacuum @1900 rpm and date of assembly are noted on the front of the pump. Stainless Braided Hose for one valve cover are included in this kit, along with the stud mount and brace bolt for mounting the pump. A High Quality serpentine belt, VCV103A Vacuum Control Valve & Filler Cap, plus all necessary bolts and shims are included for your application. Corvette applications will receive BT2 breather tank designed for for installation in a C5 or C6 model Corvette between fenderwell and radiator. All other kits receive the standard BT3 breather tank. 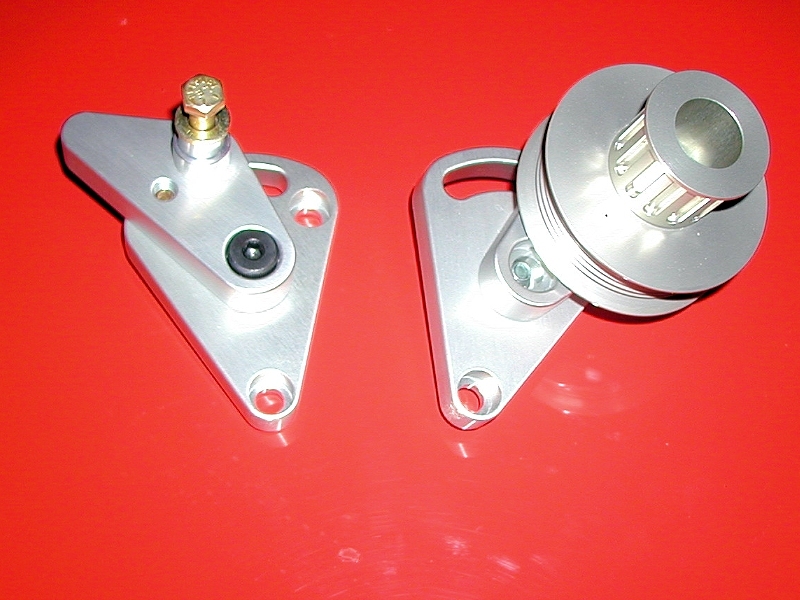 For high RPM applications we highly recommend adding the optional Aluminum Mechanical Tensioner Pulley Mount, available in the check box option above. The T100 replaces the spring loaded factory tensioner pulley mount with a manually adjusted pulley mount to avoid belt oscillation at higher RPM levels. VPPG401 36 Tooth Vacuum Pump Pulley - For lower RPM applications and/or reduced diameter aftermarket balancer. The 36 Tooth pulley will turn the pump faster than the 46 Tooth Pulley. VPPG402 46 Tooth Vacuum Pump Pulley - For High RPM applications.